Seems as if they are basically porting the fx-CP400 3D graphing functionality. I did not read anything regarding touch, so this is nothing like the HP Prime. I notice that they talk a lot about how the case is more rectangular; it sounds like they're trying to turn the TI-84 Plus C Silver Edition of the Prizm into a TI-84+CE. I hope that you're wrong about the lack of add-ins, but unfortunately I suspect that if that is the case, the community won't be sufficiently motivated to convince Casio to reverse that decision. 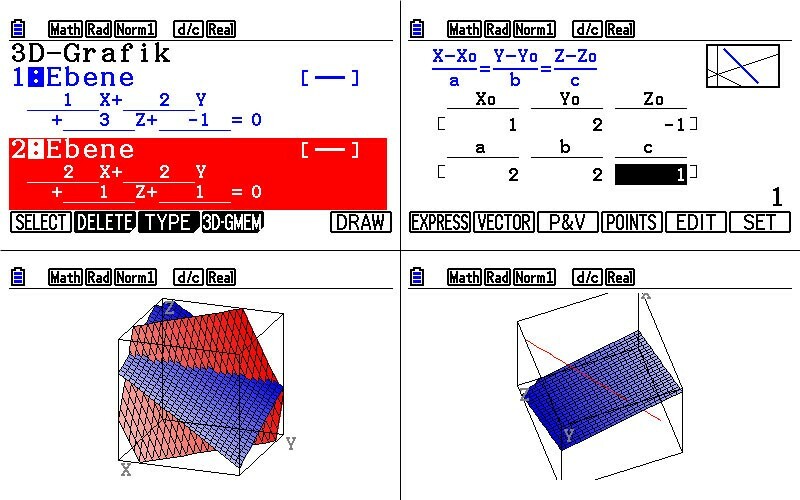 I bet the 3D graphing functionality will be disabled in exam mode. 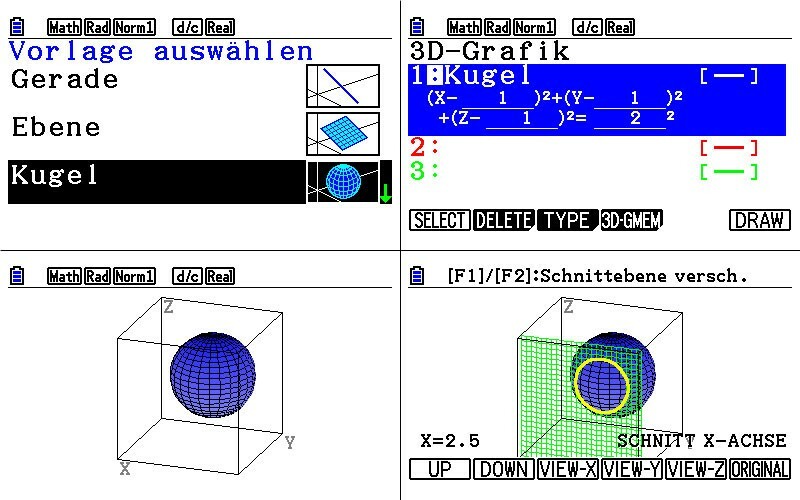 IIRC, in some countries 3D graphing is explicitly in the list of features a calc must not have to be accepted in certain exams (it would be good if someone could give a concrete example, because I'm sure I read this somewhere but I don't remember what country it was). In terms of new features, that press release only talks about the 3D graphing abilities and the different case, an "improved catalog function" (I wonder if all they did was bring back the Help function available in some fx-9860G models? ), and a new case. MSRP of $99.99... isn't this cheaper than the fx-CG 10 at launch? Here the current Prizm model goes for 150€ or more, in physical stores at least (it can be bought online for about 100€ now I think, but it's been many years since the release), but I don't know how it is/was in the US. I'm also slightly annoyed that they decided to use the "Prizm" marketing name for this new calc, because when it comes to add-in support at least, it will likely have big differences, which means all the references to the "Prizm" we have been making throughout the years are going to cause much confusion to newcomers. Oh well... just like the Nintendo Switch here's another product announcement that doesn't excite me. Must be of the time of the year. 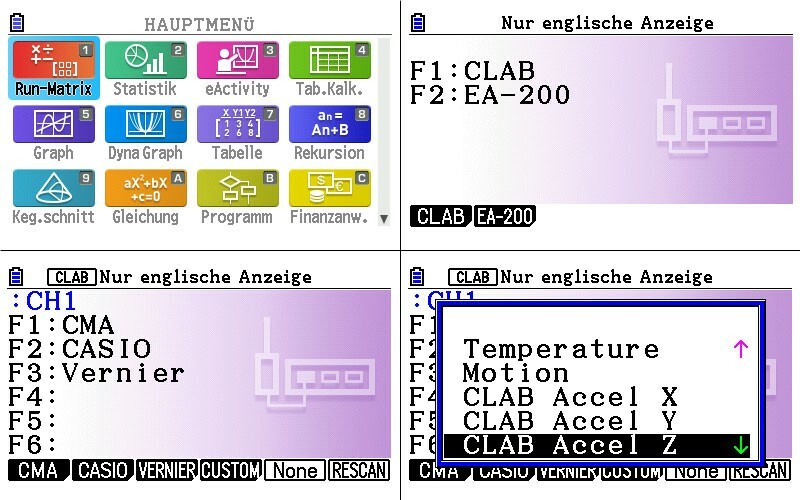 If the new operating system does not support add-ins it will be a disaster for Casio. On the off chance that anyone from Casio is reading this please keep support for add-ins. I wish they would have at least improved the speed of the drawing commands in the BASIC interpreter. 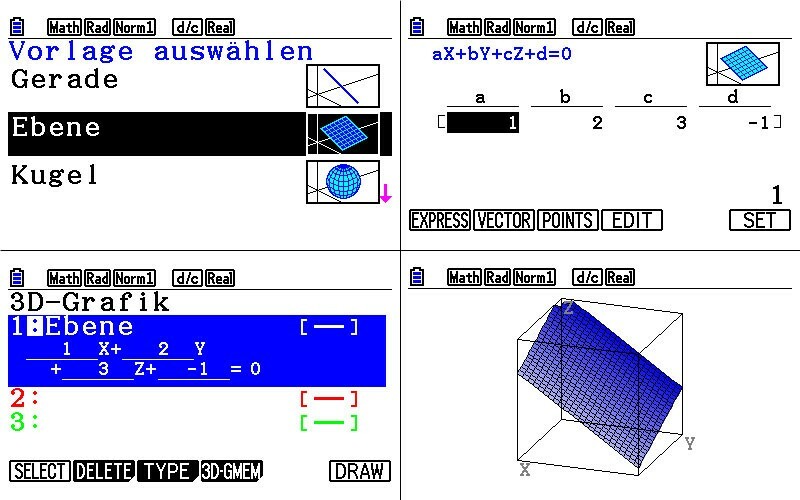 If this calculator lacks third-party add-in support like the ClassPad II did, then this leaves little to no room for community development, as only ASCII-art-based games or games made entirely of pre-drawn pictures will run at good speed. MSRP of $99.99... isn't this cheaper than the fx-CG 10 at launch? Yes. I think the MSRP in the USA was 129.99$ or so. Casio Education Tweeted: We're on the road! See where Casio will be in 2017- starting with the Region 4 conference on 1/21 in Houston, TX. If they keep clocking the SH7305 at higher and higher frequencies... do you think they are increasing the power requirements (Prizm, now with 8 AAA or 4 C cells - would explain the "more squared" design...), reducing the battery life, dynamically changing the CPU speed, or, most interestingly, Renesas switched to a different fabrication process with smaller feature sizes? Thanks for sharing that, Amazonka! I think we have enough information to begin frontpage newsing this without hyping something we have insufficient detail about now. I do hope we'll learn more about the new calculator's math features soon, though. Edit: Also, they have definitely taken a generous spoonful of inspiration from the TI-84 Plus CE school of design. I attach comparison image I created - my guess is the new calculator is 84mm wide and 178mm tall. Display might have no border of six or so pixels we have on current prizm or it will be covered by casing. Normal display area seems of the same resolution but smaller physical size. Hm, what an odd design. 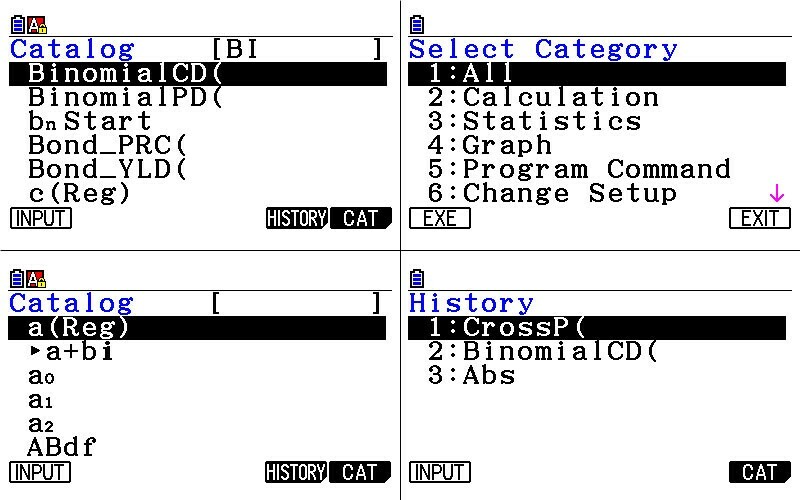 Looks indeed like a scientific calc on which they added a color LCD. I thought F<->D means Fraction<->Decimal but what does S<->D mean? Could be Symbol<->Decimal now that there are things like "3pi" or "sqrt(2)" as a result. And where do they want to place the text "MODE EXAMEN"? No fx-CG50 exam LED models planned? Ah, of course. Casio might be stuck in a "redirect loop". 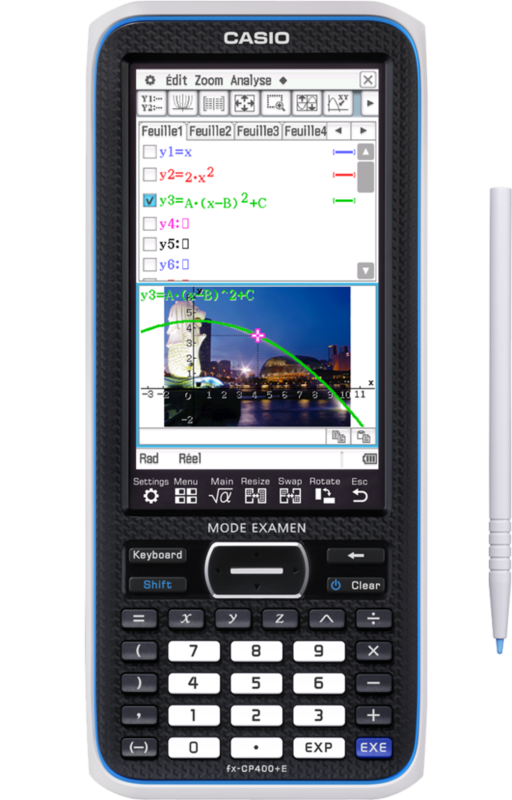 The Prizm isn't selling well in France (we know it's in part because it doesn't comply with the exam regulations). Because the Prizm isn't selling well in France, Casio isn't going to bother with the French market, and thus will not make the fx-CG 50 comply with their rules for exam admissibility. The Prizm isn't selling well in France (because... duh). I think this calculator will be compliant with french regs and will have led for the same too. There are 241 users online: 4 members and 237 guests. © Copyright 2000-2019 Cemetech & Christopher Mitchell :: Page Execution Time: 0.173703 seconds.